The vines continue to race away and are 10 to 14 days ahead of last year. Nevertheless we managed to get a day away on Sunday and headed to the spectacular Col du Rousset. 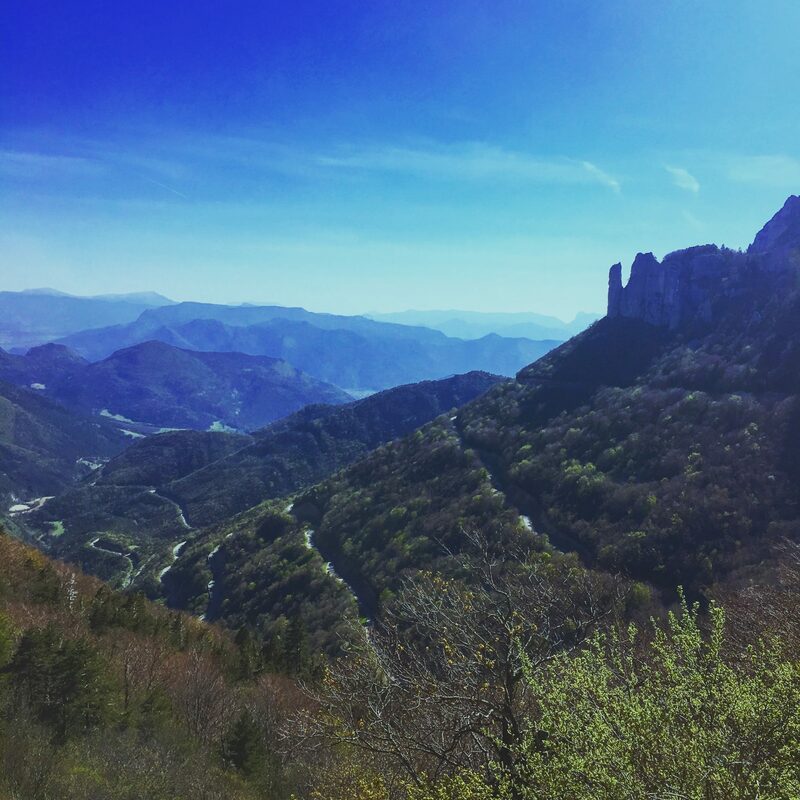 The Col marks the southern entrance onto the Vercors plateau and the road which tumbles down from it to the Drôme valley is beautiful. If you are staying here on the Domaine a drive to the Col with a leisurely lunch is a super little day trip.